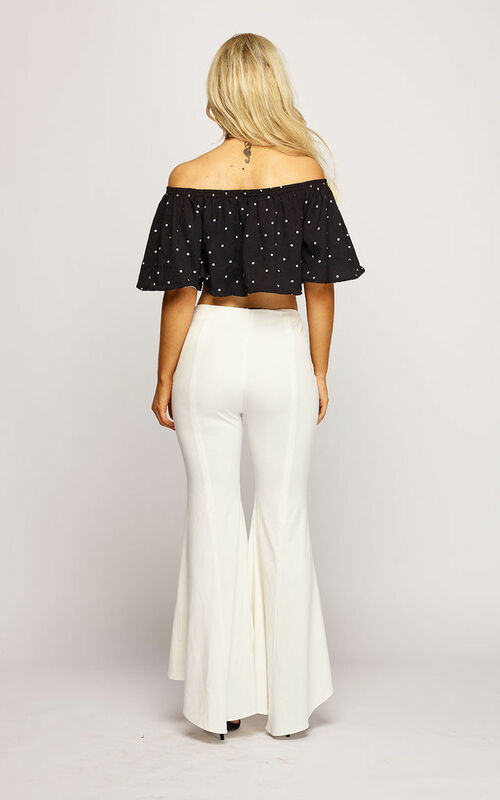 The Polka Dot Frill Crop Top is fabulous crop top that is ideal for taking on holiday and showing off your tan. With this bardot style polka dot crop top you’re going to draw some attention! The Penelope Frill Crop Top goes perfectly with both the Freya Trousers and the Lola Hot Pant.